On a rainy Wednesday afternoon last week I attended a funeral for a man named Chuck Gibson, my friend Laurie Mesa’s dad. Like most people, attending funerals isn’t one of my favorite things to do, especially after burying my mom and dad more than a decade ago. Since then, I’ve been to many memorial services to support friends and family, and I’m always inspired by the stories. In just a brief time, those in attendance learn something special about the person being honored. Chuck’s service was no different. Other than being Laurie’s dad, I didn’t know him. Nevertheless, I joined his friends and family by laughing, choking up, and feeling warm inside while listening to the anecdotes. He was a family man, a good friend, and good neighbor. He was a tinkerer and a handyman who could fix anything no matter how complex. In that one hour, I came to admire Chuck for being a man who was selfless and always available to give a helping hand. After the service, I went to visit my parents’ grave site at the same cemetery. Standing for just a few minutes in the rain, I said a prayer and reflected at their grave markers, and thought about them on my drive home. Although tales about my parents and people like Chuck won’t be told in history books, their small acts of kindness impacted people in ways they’ll never know. One Thanksgiving, my parents did something that left an indelible mark on my life. My dad was old-school and taught us, through counsel and by way of example, to work hard, play by the rules, and have respect for ourselves and others. There was no variation from this formula. My mom was the epitome of the warm and loving maternal parent. She taught us unconditional love, faith, compassion, and perseverance. Even during the last days before in her death in 2003, she remained strong in her faith and convictions. While any indiscretion on our part would be met with my dad’s scowls and rebukes, my mom would react with gentle counsel and loving support urging us to do better the next time. She was our biggest cheerleader encouraging us to be the best we could be. Each morning she would remind us that every day was good because God gave us another day, after each meal she insisted that we say “thank you God,” and she encouraged us to pray the “Our Father” before bedtime. Although my mom never had much herself, she would share what she had with others to make their lives just a bit better. One evening, right after Thanksgiving, when I was about eight or nine years old, I remember a family calling at our front door. A young couple, with a little girl sitting in a rickety stroller and a baby boy sleeping in his father’s arms, stood at the porch. The man, in a whispered southern accent, explained to my mom that they were hungry and looking for something to eat. It looked like they had been walking around for some time as the man was unshaven wearing dirty pants and shirt, and the woman looked tired with hollow eyes wearing a dress she may have made herself. My parents invited them into the kitchen and shared the few leftovers from our Thanksgiving meal from the night before, which I’m sure my mom was going to use to make some fried concoction for dinner. The couple gratefully ate at the small kitchen table like they were having a meal in a fancy restaurant. After they finished eating, my mom packed a few more leftovers in a paper bag and wished them luck. I don’t remember what we had for dinner that night, but I’m sure it was something like chopped up weenies scrambled with eggs and potatoes, our usual type of dinner on the days leading up to payday. How that young family came to our door and why they chose our house I’ll never know. I just know that my parents’ generosity that night was an incredible lesson in compassion and giving to others. We always seem to wait until funeral time to celebrate the neighbor who helps fix the furnace on a cold winter night or a couple who opens their humble home to those less fortunate. In an age of 24-hour news and instant communication, heroes rise and fall in the blink of an eye rarely making a lasting impression on people. For me, it was good for the soul last week to spend an hour at a memorial service and a few minutes standing over my parents’ graves. As families come together for Thanksgiving this week, I’m sure the dinner table conversations will include the latest about the NFL’s winners and losers, family gossip, and debates about politics. In those exchanges, we’ll be looking for heroes and villains to explain why things are the way they are. I’m sure that I’ll be a full participant in the banter, but I’ll also be sure to take a moment to be thankful for people like my parents and Chuck Gibson, the enduring heroes in our lives. Blogger’s Note: The following post is about my wife Sandra García. I was initially reluctant to post it because Sandra is uncomfortable with the spotlight. I post it at my own risk. Sandra comes from a family with strong Latina role models. Her maternal grandmother was a young widow who raised nine children teaching them the values of hard work and perseverance. 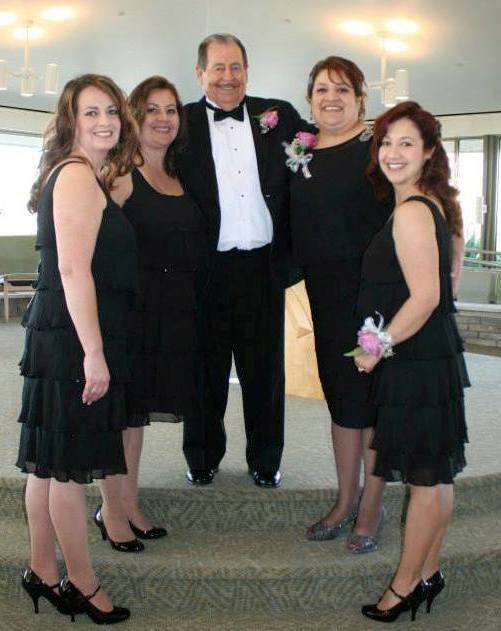 Sandra’s mom taught her daughters the value of education by participating in their school life during an era when the place for a Latina mother was in the home. These two resilient women forged the foundation of Sandra’s leadership journey that complements her skill, talent, and experience. I’ve written about how Bob Williams built a team of east side kids into a shoe selling machine at Kinney Shoes during the late 70s and early 80s. I’ve shared with you how Chris Boyd provides the tools his team at Kaiser Santa Clara Medical Center needs to save lives. Raised in a hard-working family with strong Latina role models, Sandra is a genuine leader who brings her own brand of compassion and determination to the leadership table. A little more than a decade ago, Sandra, several colleagues, and a group of parents dreamed of building a Spanish-English dual language school on the east side. After putting together a design team and getting approval from the school board, Adelante Dual Language Academy opened a year later with three teachers, and 60 kindergarten and first grade students. Sandra has served as principal for all but the first year. Her leadership style comes from the fortitude and nurturing handed down by her grandmother and mother. Sandra is a stickler for high standards (how she ended up with me begs that question and is fodder for another post). From the smallest household project to gigantic dreams like creating and building a school, she expects the best from herself and those around her. Anything less is just unacceptable. Her passion for Adelante and its success is displayed on a daily basis whether she is coaching a teacher to reach higher, encouraging a student to achieve, or picking up an errant wad of paper littered on the ground. For her, getting the job done is simply a function of good old-fashioned hard work. I joke with friends that I didn’t realize how much Sandra worked until I stopped working. If the girls and I really need her, we know where to find her. On any given night, Adelante is teeming with students and parents on campus for a book fair, “Reading Under the Stars,” a sporting event, or a Dia de los Muertos student exhibit. The Directora, as her students and parents affectionately call her, is on campus as well supporting her school community. Like all leaders of a complex organization with many stakeholders, Sandra has had her share of problems and challenges at Adelante. To overcome these challenges, business guru Patrick Lencioni says that leaders must have a “rallying cry” that keeps organizations focused on what really matters. Adelante’s rallying cry is centered on student success, parent participation, and community cohesion. With dignity and grace, Sandra ensures that all involved stay on course on a daily basis. She’ll be the first to say that the honor bestowed by the chamber of commerce belongs to the students, parents, and faculty at Adelante. And, she would be right. Just walking around campus, you can see that students come to school every day ready to learn. The level of parent support is unequaled for a public school and the teachers are passionate about their students. Under her leadership, Adelante has become a bona fide east side institution. All of this is reflected in the school’s academic performance. Adelante is among the highest performing schools in the district as its standardized test scores have increased phenomenally during the past several years. Its students have reached the finals in the state Mathematics, Engineering, Science and Achievement competition and the National Spanish Spelling Bee. What started as a school of 60 students housed on another campus, now serves nearly 600 students on a campus of its own. With the rise of charter schools and the launch of a new national curriculum for public schools called Common Core, education policymakers are once again grappling with the Latino academic achievement gap. 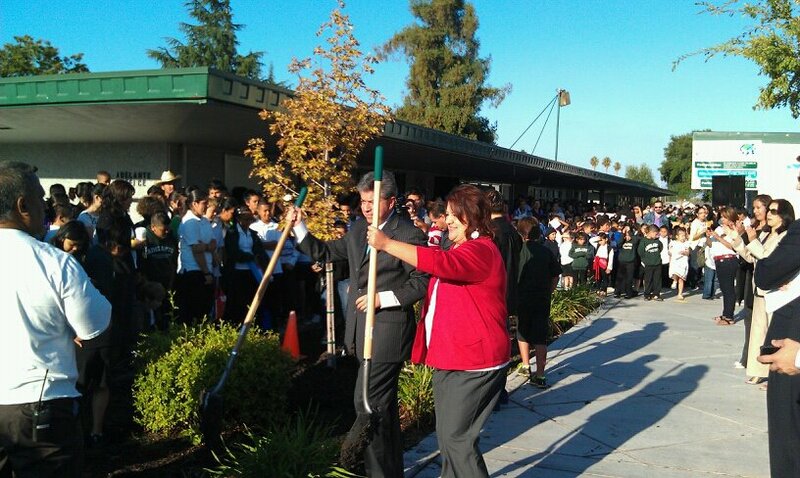 They could look at the Adelante formula of high standards, good teachers, and engaged parents. At the helm is a genuine Latina leader who, like her grandmother and mother before her, expects excellence, isn’t afraid to toil tirelessly, and maintains her laser-focused eye on the prize. 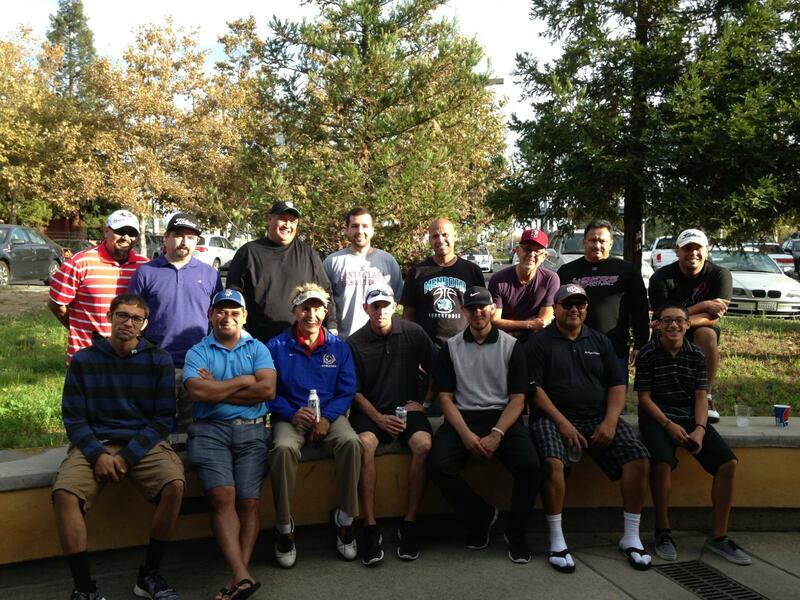 We gathered at Los Lagos Golf Course in east San Jose on a sunny and crisp Saturday November morning last week for what my cousin Tavo dubbed the 1st Annual East Side Eddie Golf Classic. Despite the fancy name, it was really just 15 guys, family and old friends, getting together to play a round of golf for my 50th birthday. After drawing names to make up the teams, our competitive juices kicked in as we headed to the first tee. Just as I expected, the rowdy “golfers” heckled the first group that teed off. So much for golf etiquette, it was the beginning of a typical day for this group of mostly hackers. The next four hours flew by as we re-told the same old stories, all seemingly with new and exciting details to make them sound more adventurous to the nephews in the group. We reminisced, laughed, and reflected on the tough times each of us had faced. The day gave me a chance to look back and think about what I’ve discovered about living. I came up with five “rules,” one for each decade. They represent the roller coaster that is my life. It’s been quite a wild ride, so take these rules as recommendations only at your own risk. There were lots of kids in the neighborhood where I grew up. We played basketball on my driveway, touch football on the street, and walked to the end of the block to play baseball at the neighborhood school. I did fine by myself too. When none of the neighborhood kids could play, my backyard and driveway would become a jungle, baseball diamond, and college basketball arena. By the time I was 10, I had done it all: I had been a great explorer, all-American basketball player, and a hall of fame baseball star. When I was 12 years old, I was captain of my little league team and the winning pitcher in the championship game. I always did well in school and was captain of the varsity basketball and baseball team senior year in high school. Up to this point, everything was easy for me. I entered San Jose State University full of life and full of myself. Unfortunately, college wasn’t that easy. By the time I was 20, I had flunked out of SJSU and began a downward spiral fueled by the self-doubt and self-loathing that comes with failure. 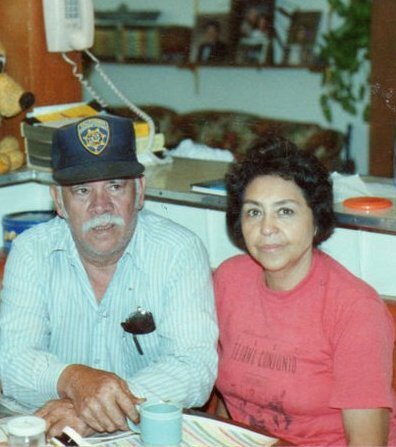 Through the dark times, my parents continued to believe in me, my dad in his “tough love” kind of way and my mom with unconditional love. Sandra came into my life and became the third leg in the stool that would stand me up. I went back to school in my late-20s as a reluctant student, feeling awkward in classes with teenage freshmen and thinking it was too late for me. A wise professor, Dr. Randall Jimenez, told me that I would be 30 years old one day with or without a college degree, it was up to me. I studied hard and worked tirelessly. By the time I was 30, I was a college graduate. Playing like a champion doesn’t mean winning every game. Champions work hard, capitalize on the talents God gave them, take risks, and get right back up after being knocked down. During my 30s, I had two beautiful daughters with Sandra, bought a home, lost a job, started a new career, and lost three campaigns for public office. I celebrated the successes and dusted myself off after each defeat. By the time I was 40, I had a great family and a career on the rise. Sandra and I had many plans for our life together and they were all falling into place. Sandra was an elementary school principal, I was in executive management and president of the school board, the girls were doing well in school, and our retirement plans were right on course. Woody Allen once said, “If you want to make God laugh, tell Him your plans.” He got that right. My heart attack brought our plans to a jolting stop. George Strait has it right too. My plans and ambitions have taken a backseat, and cherishing every moment of life is now in the driver’s seat. Back at the 1st Annual East Side Eddie Golf Classic, two teams tied for first place at the end of 18 holes. There was confusion about the scorecards, and the outcome was fraught with controversy. What’s a tournament director to do in this situation? I went to the obvious answer: a beer chug-off for the championship trophy. With the mugs filled to the brim and the crowd gathering around the chuggers, all eyes were on the tiebreaker. This is 50 and you know what I’ve learned? We’re here for a good time not a long time.